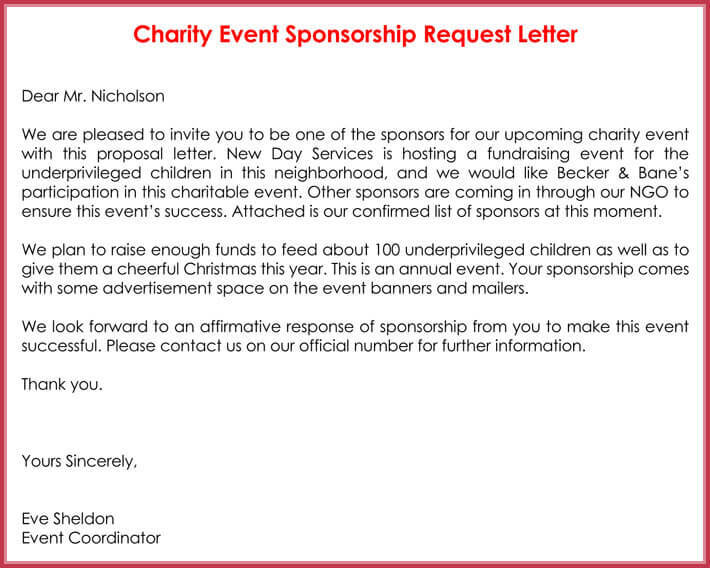 Sponsorship requests are a great way to find third party donations or funding for your event, organization, or cause. Companies or individuals will donate services, products, or funds in order to gain free marketing and positive association opportunities. 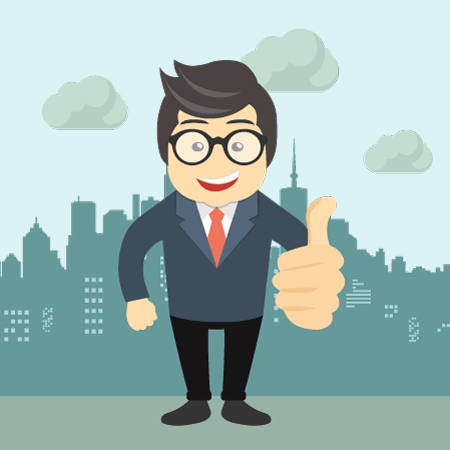 Sponsorship can be gained from more than one company, with different levels of donation. 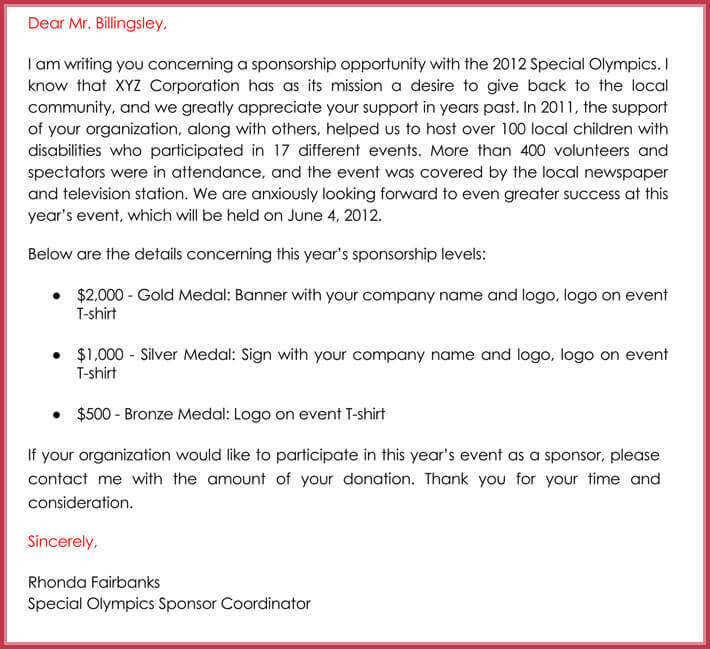 It’s essential to catch the eyes of your chosen sponsor(s) and stand out from other potential organizations. 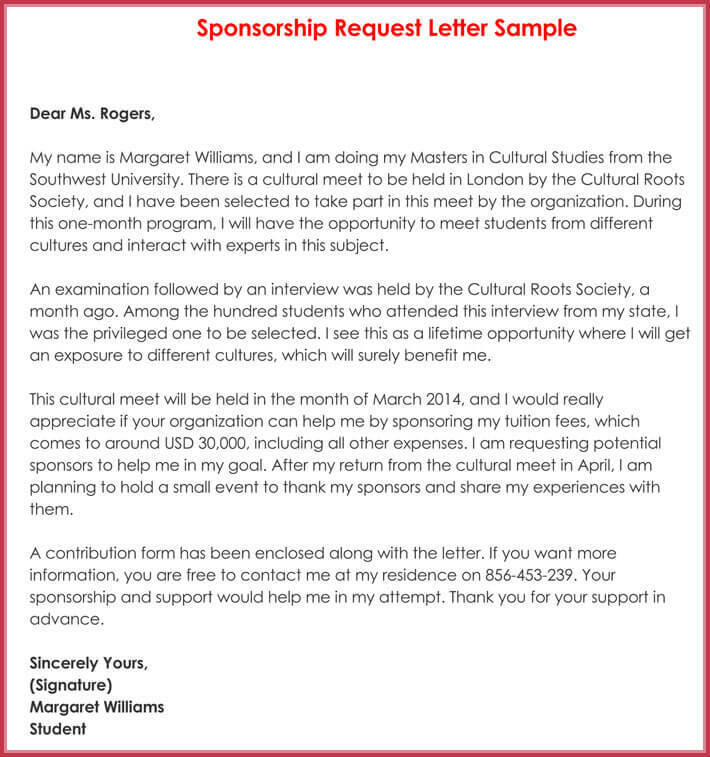 Using a sponsorship request letter sample provides you with a formal business structure and gives you a useful example for incorporating your own content. 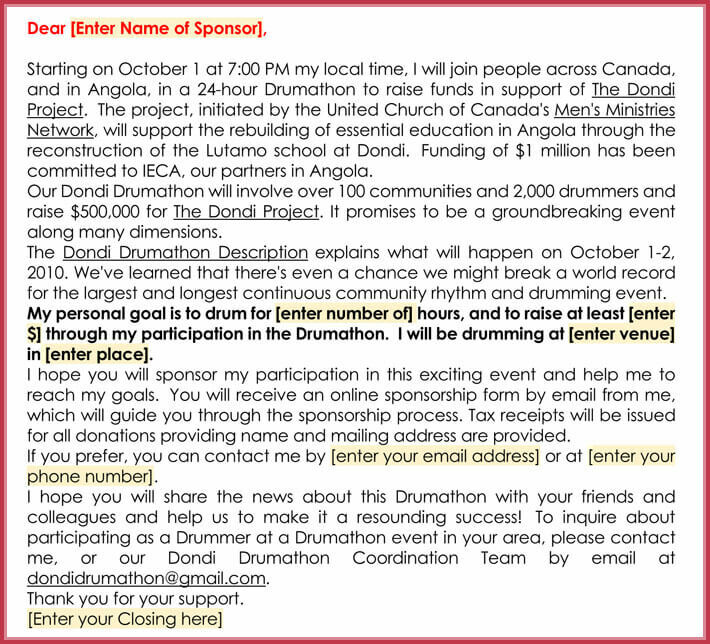 Events- whether for celebration, fundraising, or raising awareness for a cause, most large events have at least one sponsor. 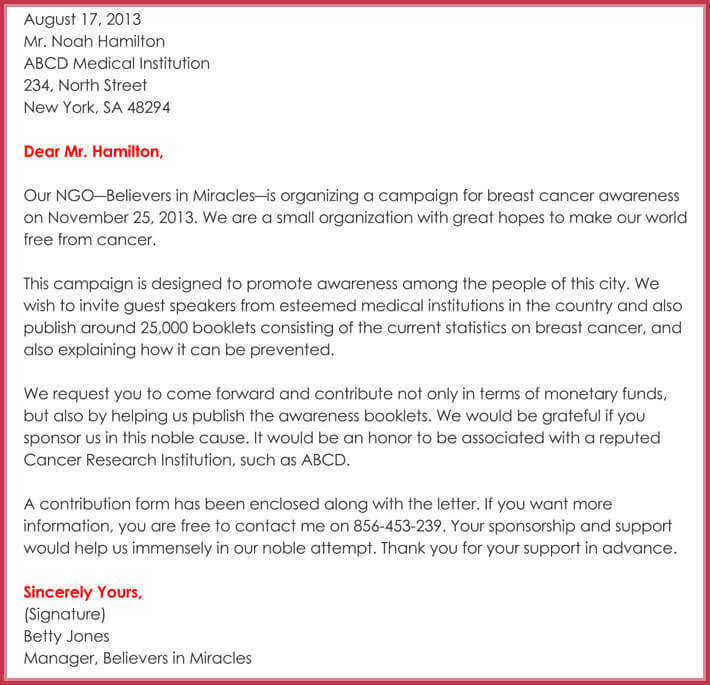 Non-profit organizations- businesses love to support a good cause, both for personal principle and for good public relations. 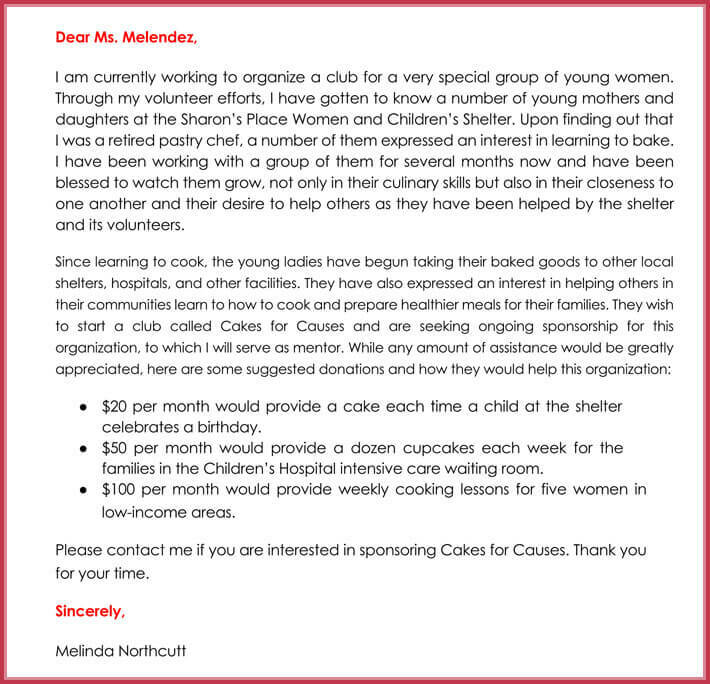 Businesses- local businesses often have many donations from patrons and larger companies. Anything, from a decorative furniture piece to office supplies, can be requested. 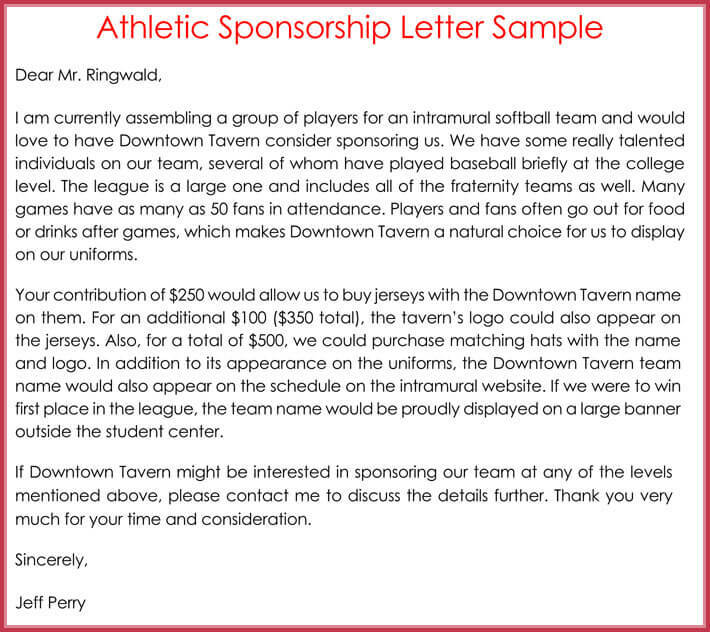 Teams- academic and business teams usually rely on sponsors for equipment, uniforms, and even recreational spaces. School teams might request parents to volunteer their time at practices or provide snacks. 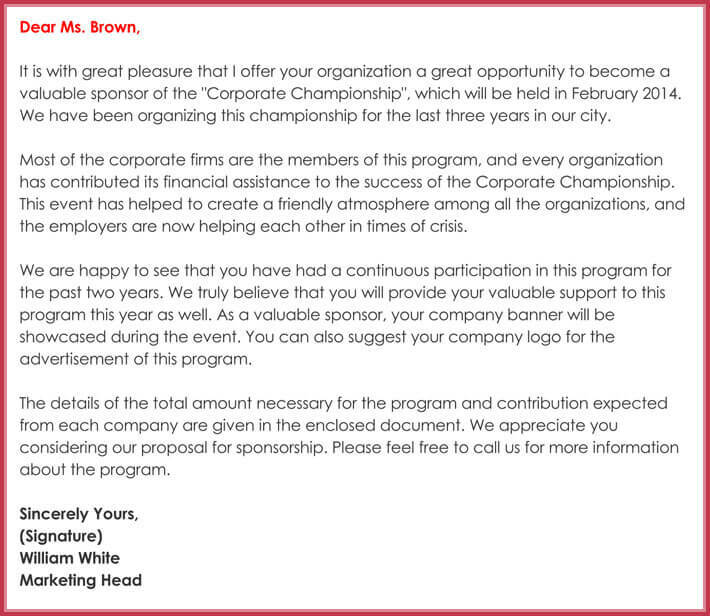 There are many types of sponsorship to ask for, and they all start with a well-formed business letter. 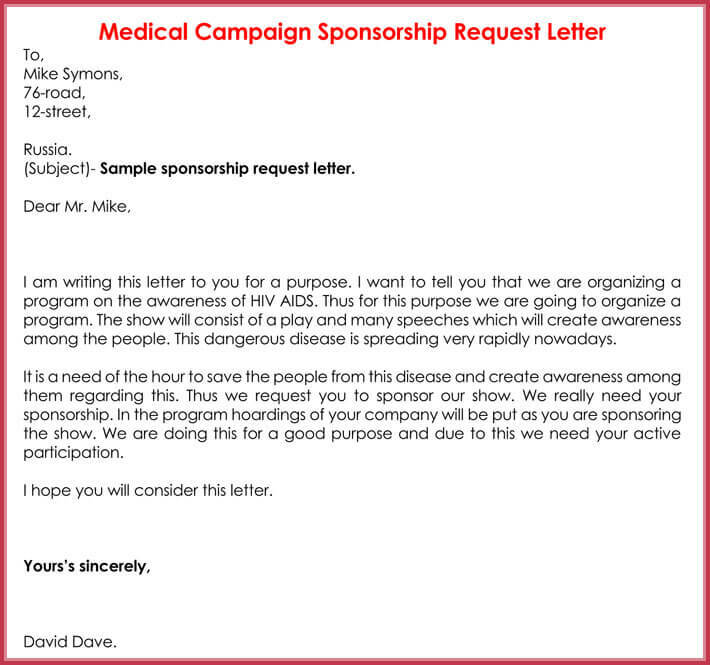 Our sponsorship request letter samples are the perfect tools to get you started. Each example provides a different writing perspective, so you can choose one that is closest to your request type. 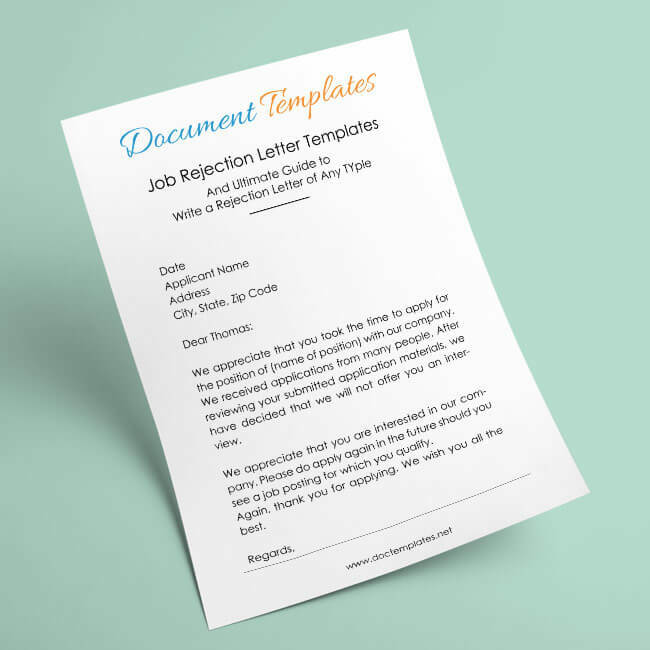 Our samples follow the proper structure of a business letter. They demonstrate how to make your request letter flow smoothly, while still practicing proper etiquette for headings, paragraph structures, and language. With eight samples to choose from, you can find a similar theme to lead you. So, you’ve got great examples and a formal structure down. Now it’s time to write your own content. 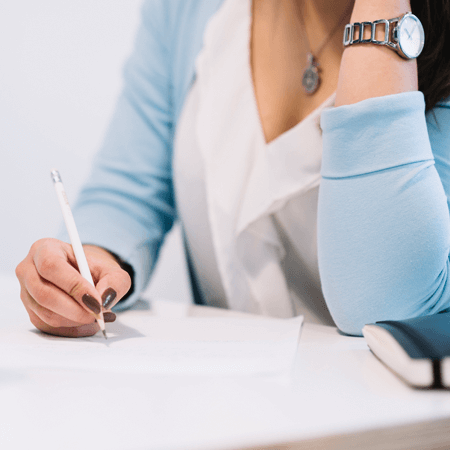 Here are some tips to help you create a sponsorship request letter that will make you stand out, and find a sponsor who will help you achieve your goals. Make your expectations clear. Choose sponsors that can provide what you’re looking for. 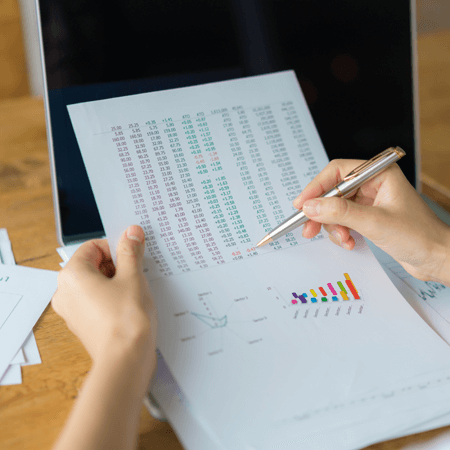 Make a list of what you can offer to sponsors. Create sponsorship levels. Sponsorship levels are often put into ascending categories such as bronze, silver, and gold. Each level provides specific benefits for sponsors depending upon the amount they wish to donate. For example, a gold level sponsor might receive free banners at the event, VIP tickets, and mentions by important speakers during the event. Negotiate. It’s okay, and a good strategy, to be willing to negotiate. 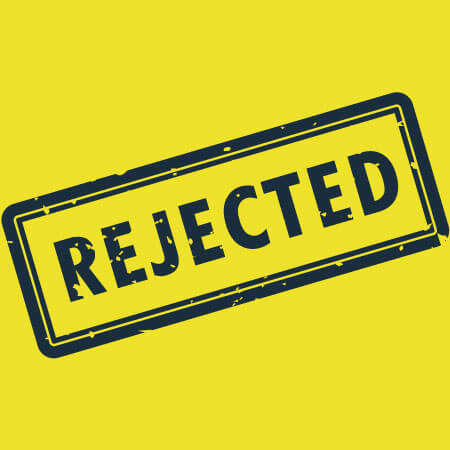 Sometimes the sponsor you chose would like to help, but can’t provide everything you’re asking for, or have different services in mind that you need. Find out what each sponsor can do for you and go from there. Settle for any sponsor. Don’t change your vision or major goals to accommodate someone else’s. 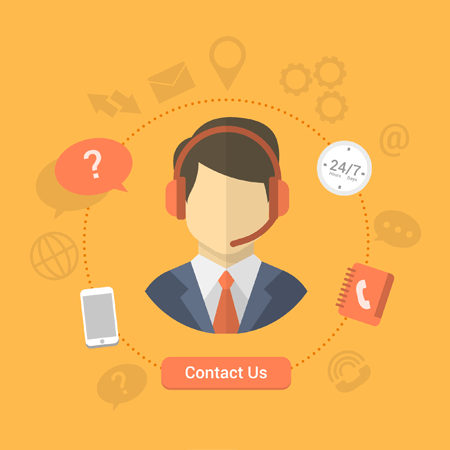 A company might want to sponsor you, but has unrealistic expectations of what they’ll receive in return. Don’t try to over sell. Keep your letter sincere. Be direct about why you believe your chosen sponsor would be a good fit. Don’t use special or colored fonts. 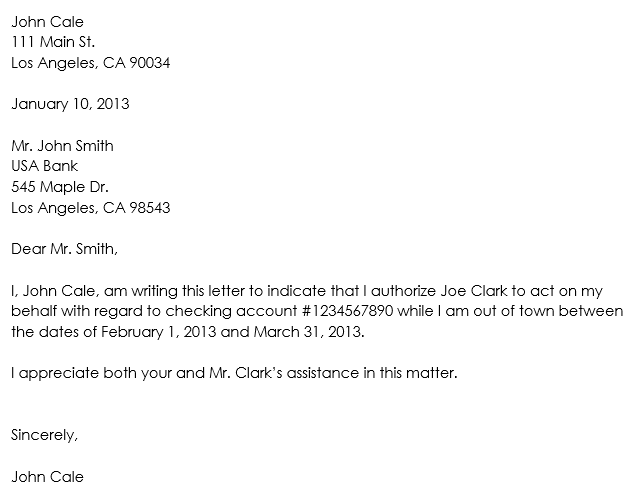 Business letters should be formal and simple. Use your creative flair to create an eye popping sponsorship level chart instead. 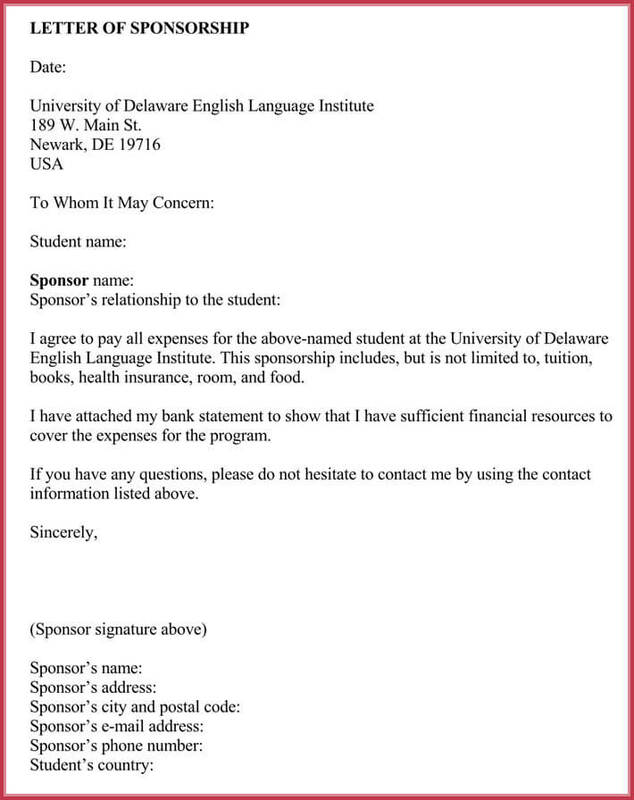 Using these tips and our examples, you can write an outstanding sponsorship request letter, and reach your goals.